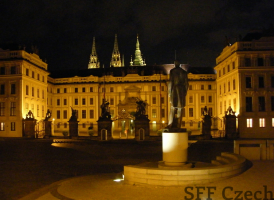 City tour of Prague by Night with private tourist guide. 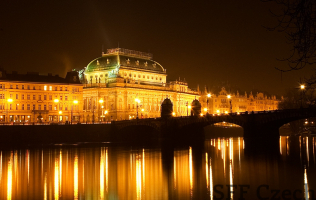 An amazing atmosphere reigns in Prague after the sunset. You can delve into this atmosphere by enjoying views of the Municipal House, the Old Town Square, Karlova Street, the Charles Bridge, St. Nicholas Church, Nerudova Street and the Prague Castle. 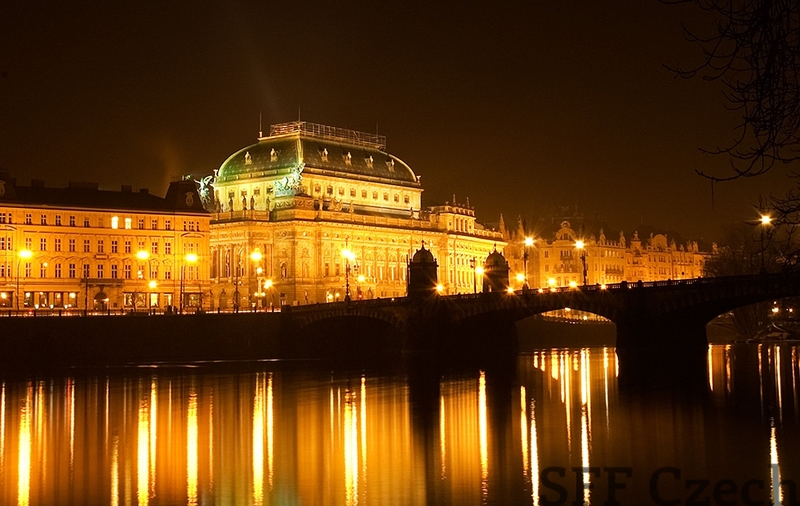 Prague is magnificent also in the night. 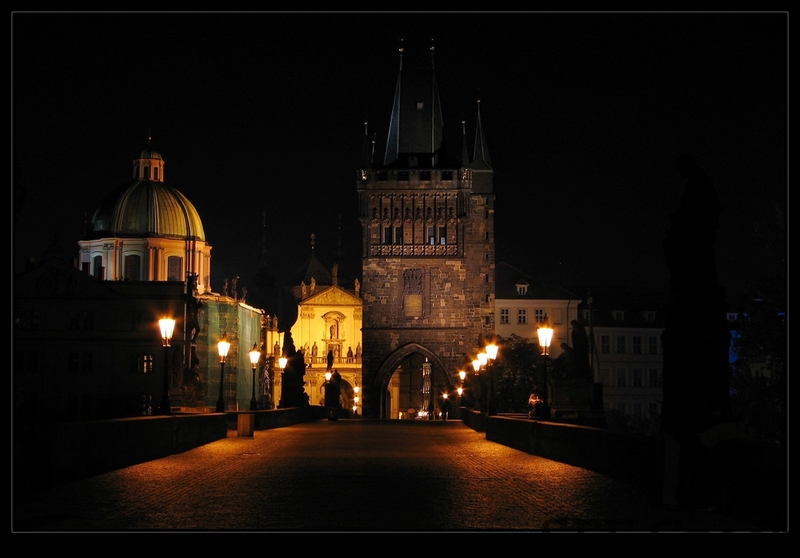 Take a walk around night Prague along the Royal Road. 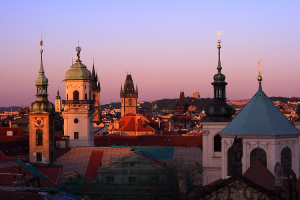 The Royal Road is the name of the historical route that runs through the centre of Prague where royal coronation processions of Czech kings passed. 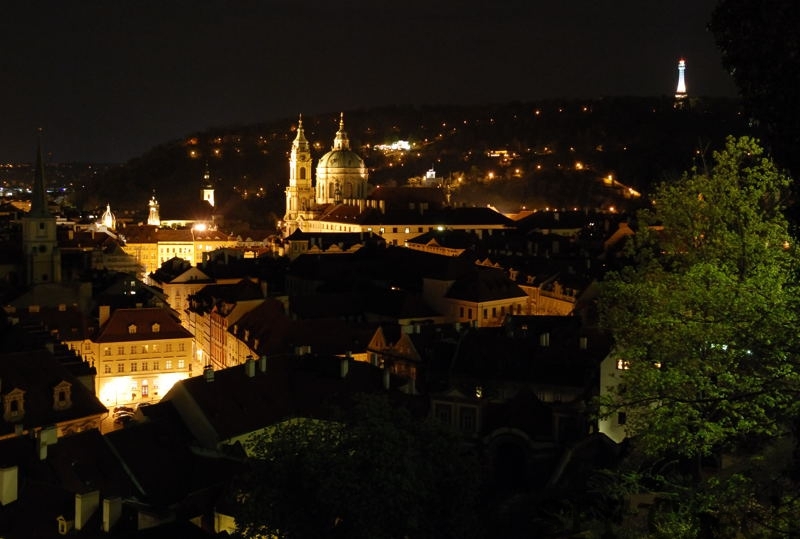 The route started at the King's Court in the Old Town, a former urban residence of Czech kings near the today's Powder Tower and Municipal House. 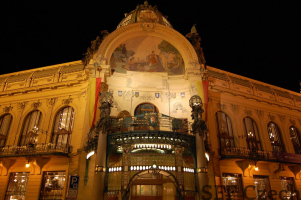 The walk continues along Celetná Street, across the Old Town Square around the Old Town Hall, then across Small Square (Malé náměstí), along Karlova Street around the Clementinum, across Square of the Knights of the Cross (Křižovnické náměstí), under the Old Town Bridge Tower, along the Charles Bridge to the Little Quarter Bridge Tower, along Mostecká Street to Lesser Town Square (Malostranské náměstí) and finally along Nerudova Street to Hradčany Square (Hradčanské náměstí). The walk ends in front of the Prague Castle. City tours of Prague: prices are valid from the minimum of two persons, duration is 3 hours. Tour is mostly walking, using public transport, but we can arrange transfers by taxi or bus. We can order a car with a driver for an extra surcharge.